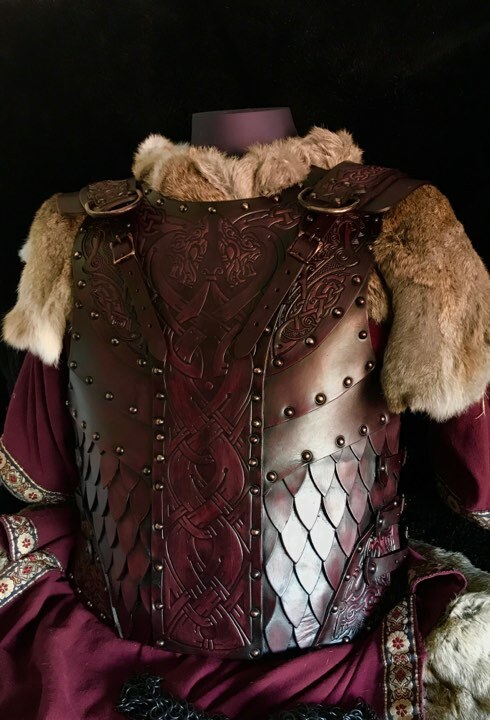 Introducing the NEW Sigurd Armour, designed by Alex Agricola the founder of Black Raven Armoury, with original Norse Art by our very own Vitor Gonzalez in either Dragon or Wolf designs and built by one of our expert armour smiths. This design really has come as a result of feedback from our male customers wanting an armour like our Sigrun? So here he is? winning the battle of so many boxes to tick? 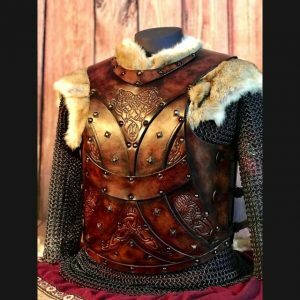 The Sigurd, an armour that could combine protection and style? Something that would work whether wielding a sword?. or ruling a kingdom..A combination of formed sections that create a practical shape suitable for combat comfort, over 100 individual scales front and rear, for mid section movement and all made using overlapping 3.2mm veg, backed with suede ? The Sigurd, body is ideal? 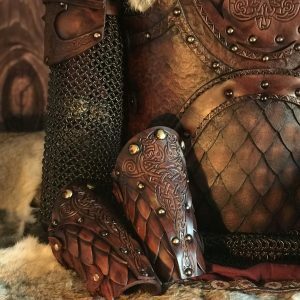 as a standalone armour or can be combined with the matching greaves and vambraces from the Sigrun Range for a regal look, or with any of our our other leg and arm guards to? create a more unique style. The Sigurd body is a combination of formed sections that create a practical shape suitable for combat comfort. Over 100 individual front and rear scales are combined to create a fully functional armour which also allows the wearer good freedom of movement. The scales are all made using overlapping suede-backed 3.2mm veg. This? 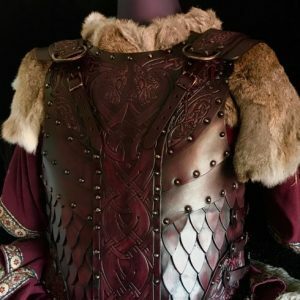 armour is adjustable at the front, sides & rear shoulders.